I took this photo of my friend Marco’s son, Hayden. It’s funny because he’s always mad and in a bad mood. 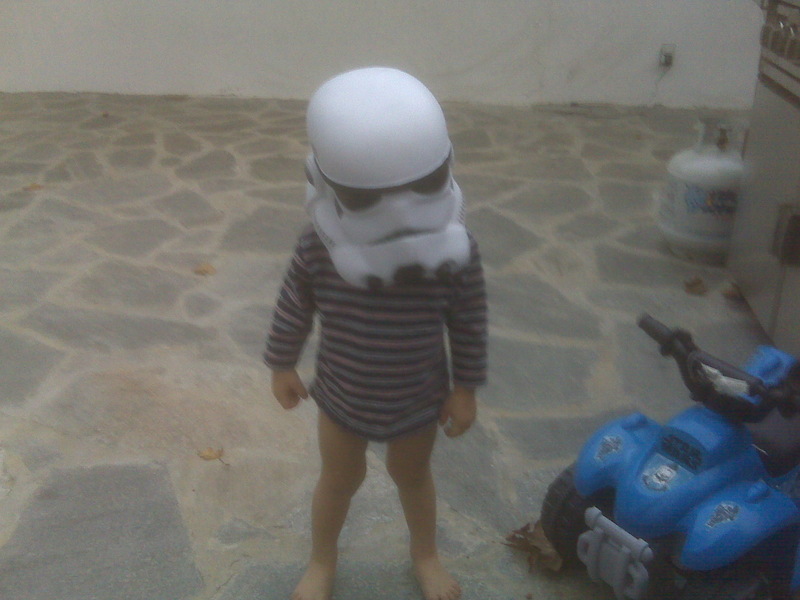 So yeah it’s a storm trooper who is a kid with diapers, but if you took the helmet off, it would still be a menacing character. My wife, couldn’t believe that I took this photo. She was sure that it was a meme from the internet. Nope.